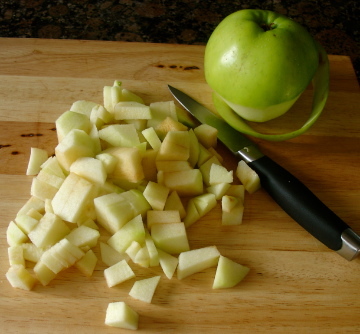 1 ) Place the apples , sugar into a large pot , cook it over the medium heat , until the moisture evaporates about 10-15 minutes and stir often to prevent burning on the bottom. 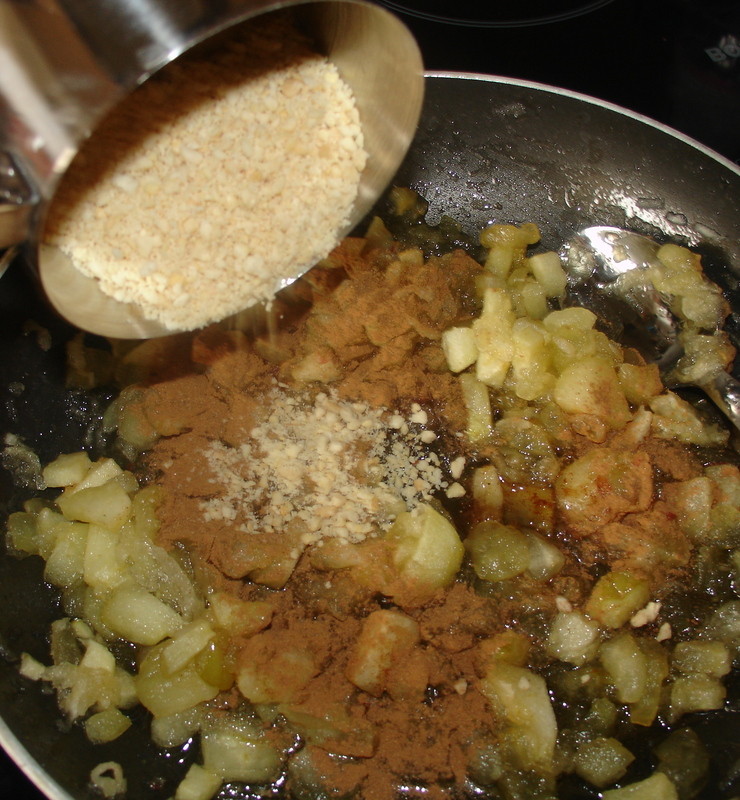 Add nuts and the cinnamon , then remove the pot from the heat . Let cool it. 2 ) Preheat the oven to 180 degrees C.
3 ) Unfold puff pastry sheets then cut into 3 rectangle lightly brush with melted butter . 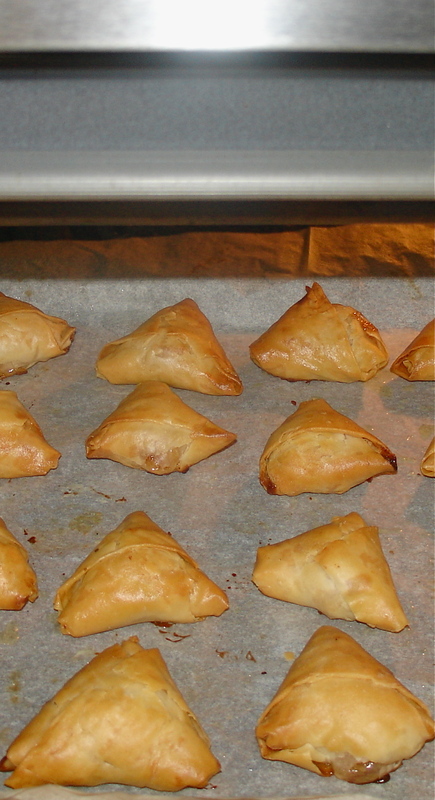 4 ) Put the cooked apple on the pastry sheet an fold in long edges until end. Repeat with remaining phyllo pastry and filling. 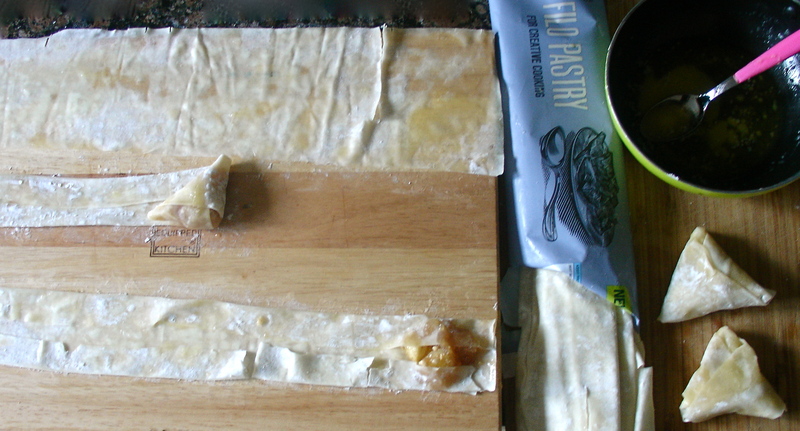 5 ) Place each pastry on baking sheet , bake 10_15 minutes or until light golden yellow. 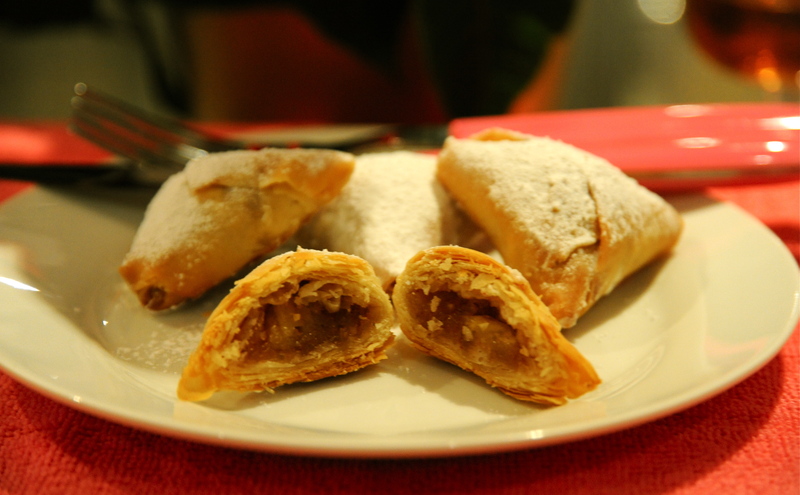 6 ) Let the pastry to cool completely and sprinkle powdered sugar over the cooled apple pastry . 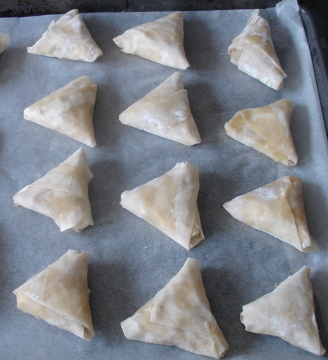 After several phyllo dough trowed out finally I mustered how to fold properly the triangles…. 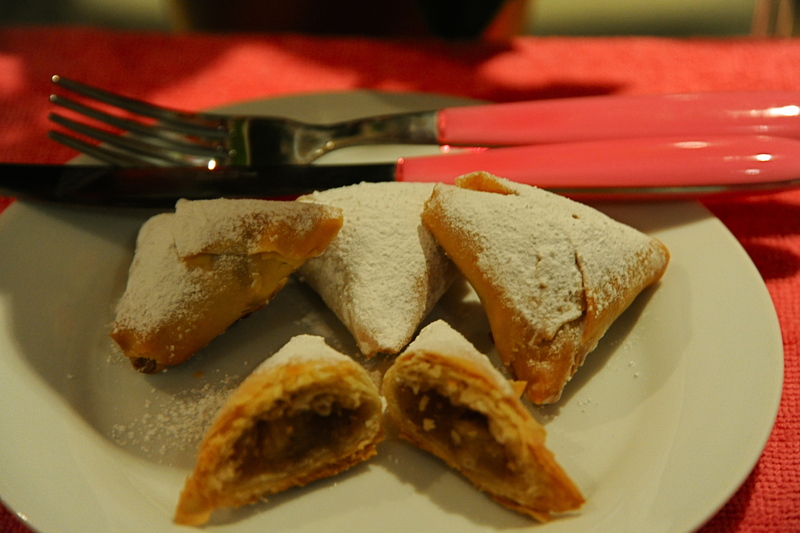 I’ve always prepared them with Feta… With apples and cinnamon they have to be amazing! Thank you very much for your comment and sharing your experience. This is so tempting.. Gonna try this out !